Getting 3 from 1,500 was nearly impossible. Along the way we kept trimming the list of palettes we loved down to a smaller number and the palettes below stayed with us for most of the way. Even though they didn't win, we wanted to share a little extra love with these palettes. Green is a well loved color when it comes to attention during the holidays. It is the accent to the red and white candy canes during Christmas... the color hidden under the cover of a witches hat on Halloween... but no holiday lets green shine in the spotlight like St. Patrick's Day. Saint Patrick's Day is celebrated worldwide on March 17th by Irish people and increasingly by many of non-Irish descent (usually in Australia, North America, and Ireland), hence the phrase, “Everyone is Irish on St. Patrick's Day.” Celebrations are generally themed around all things green and Irish; both Christians and non-Christians celebrate the secular version of the holiday by wearing green, eating Irish food and/or green foods, imbibing Irish drink, and attending parades. Saint Patrick's Day, colloquially St. Paddy's Day or Paddy's Day, is the feast day which annually celebrates Saint Patrick (385–461), one of the patron saints of Ireland, on March 17, the day on which Saint Patrick died. The day is the national holiday of the Irish people. It is a Bank Holiday in Northern Ireland, and a public holiday in the Republic of Ireland, Montserrat, and the Canadian province of Newfoundland and Labrador. In the rest of Canada, Australia, the United Kingdom and the United States, it is widely celebrated but is not an official holiday. Although Saint Patrick's Day has the color green as its theme, one little known fact is that blue was once the color associated with this day. Pearls come in more colors than one can count. Part of the allure of owning pearls is that each one is unique. Like people, pearls are never clones (not yet at least) and their color is one of their most striking qualities. Because of the natural material, each pearl must be expertly matched underneath fluorescent lights in order to find a pair. Sometimes a pearl's color changes when you spin the pearl. One side of the pearl may be copper and the other green. These pearls are generally thought to be lower in value and are hard to come across unless you are looking through a substantial lot of loose pearls. Pearl is the birthstone for the month of June and it is generally accepted as the wedding anniversary gemstone for the 3rd and 30th years or marriage. The pearl has been a symbol of sacred power and the goddess of love for hundreds of years. In the ancient Mediterranean world, shells and pearls were often symbols for the great goddesses. As the pearl is born from the oyster so was Aphrodite born from a marine conch. The best example of the possibility in pearl color is captured in the baroque shape. Baroque implies that the pearls are not completely round and are generally either drop shaped or circled. Because of the more freeform shape, these pearls capture rainbows of color. The colors dance and change according to the lighting. One of the traditional metaphors to describe such iridescence, (called "orient"), is to think of gasoline on pavement. What makes baroque shaped pearls even more colorful is that their body color is not always one color. Below is a photo of some loose Tahitian pearls. You can see from the following examples the multitude of colors. Though there are no bright red pearls, there is a shade of Tahitian pearl called "Cherry," which is truly vamp. These pearls have a ruby tinge to their darker body color. These pearls can be as red as a dark sienna if the body color is also red, or the red can be lighter with a silver body color. Sometimes green is the dominant body color of the pearl and the red is an overtone. These pearls look red at the center with an outline of green beneath. They are rare and hard to find on for sale. LuckyOliver is a growing stock photo marketplace that helps creative people buy and sell images. 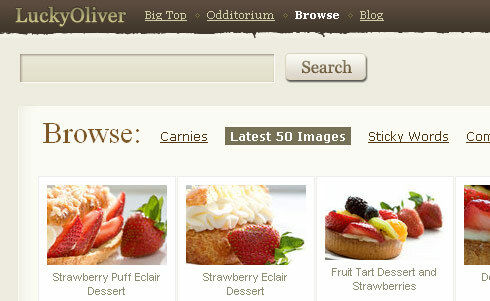 LuckyOliver's quality, low cost stock photos are used by designers, small businesses, marketers and DIY enthusiasts. Wow! So many amazing entries. We're now looking at the more than 1,500 entries to find the winners of the contest. We'll be posting the results very soon. Thank you to all who shared some of your color inspiration. LuckyOliver.com is a great place to get wonderful stock photos at a good price... and COLOURlovers is a great place to share color ideas and inspiration. With your help we want to showcase some of the great photos on LuckyOliver and also your color loving talents at making color palettes. 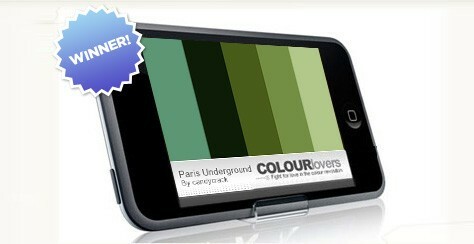 All you need to do to enter this contest is create a color palette inspired by a photo on LuckyOliver. We know you love sharing your color inspiration with others and now we're giving you the opportunity to win some awesome prizes for doing exactly what you love to do... So crank up your inspiration motors and start sharing the photo and color love. 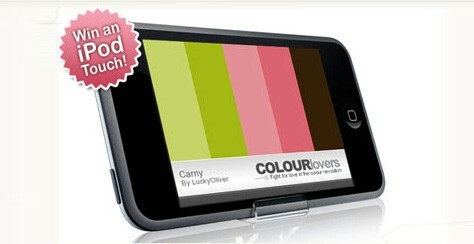 This content will end March 17th and the winners will be announced on both COLOURlovers and LuckyOliver.com. Winners will be selected for the best palettes that captured the spirit / mood of the inspiration photo. Enter early and enter often. Browse the great images at LuckyOliver.com and choose one that inspires you. Did you know that two lovers of color met on this site a couple years ago and are now happily married? It has helped artists find ideas for their work... It has brought family members closer together and given friends and lovers something to share from thousands of miles away. Colors, Palettes and Patterns all tell stories and we want to hear what they are... How did you come to find COLOURlovers? How do you love thee? Why do you love Color so? Why can't you live without color? Comment below with a palette, color or pattern badge and a short story as to how you love Color, COLOURlovers.com or a fellow lover... or whatever you feel inspired to share. According to the Greeting Card Association, 25 percent of all seasonal cards sent each year are valentines, making Valentine’s Day the second most popular card-sending occasion in the Unites States. Approximately 190 million Valentine’s Day cards are exchanged annually, not including classroom valentines sent between children at school. I've always liked the artwork of Mark Rothko. They are simple enough to enjoy with only a passing glance, but powerful enough to absorb large amounts of time considering the emotions and meanings behind the colors and how they interact with each other. I share a similar appreciation for the hundreds of color palettes that are uploaded to COLOURlovers on a daily basis. They can be quickly appreciated as you scroll by them, but some of will jump out and grab you on personal level. And the ones that grab you could be the ones that another person scrolls on past... These little palettes become mini-artworks that can express emotion and ideas. As basic as color is, it is a very powerful form of expression. 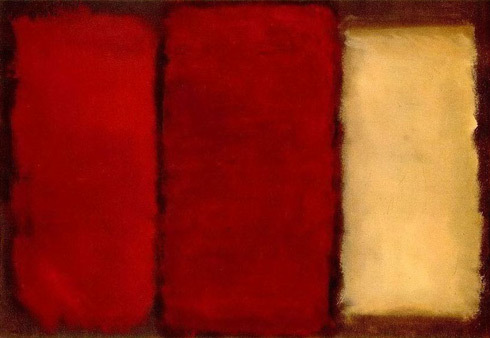 "Rothko's work is characterized by rigorous attention to formal elements such as color, shape, balance, depth, composition, and scale; yet, he refused to consider his paintings solely in these terms. He explained: It is a widely accepted notion among painters that it does not matter what one paints as long as it is well painted. This is the essence of academicism. There is no such thing as good painting about nothing." If you have a need that doesn't fit the license above, contact us. // Giving you control over this function really puts the reigns in your hands. 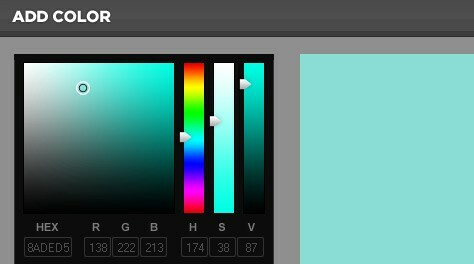 Rewrite this function as you see fit to really take control of this color picker. _CLCPdisplay = "none"; // Values: "none", "block". Default "none"
_CLCPposition = "absolute"; // Values: "absolute", "relative". Default "absolute"
_CLCPinitHex = "0039B3"; // Values: Any valid hex value. Default "ffffff"
_hex: "FF4400", // When a valid hex value is passed, it will set the picker to this hex. Otherwise the picker will not change it's current color [if any]. _x: 12, // If a x coordinate is passed, the picker will move to the x value. Otherwise, the x coordinate from the mouse click will be used. _y: 400 // If a y coordinate is passed, the picker will move to the y value. Otherwise, the y coordinate from the mouse click will be used. Fixed a bug in IE where users couldn't click-drag-highlight other objects within the page. Fixed a conflict this script had with jQuery. Thanks to Ozh at planetOzh.com for the report! Dwell was created to champion an intelligent, thoughtful, and modern sensibility that stimulates our audience to envision—and realize—life at home in the modern world. The recent Dwell.com redesign gives the site a fresh look, fluid navigation, and flawlessly showcases Dwell's award-winning editorial content and photography in a way that is distinctly Dwell. As a result, Dwell.com is better positioned than ever as THE leader for what's news in modern design. The Dwell Design Leader video series is an inside look at some of the most influential, inspirational, and innovative designers in the industry today. From landscape architect Andrea Cochran to prefab architect Michelle Kaufmann to co-housing expert Kathryn McCamant to Airstream designer Christopher Deam, a full spectrum of modern design disciplines are explored from a personal and professional perspective. With a very limited budget and no construction experience, Lucky and Kim Diaz overhauled a wreck of a house into a sweet, 1,100-square-foot Los Angeles home with just $55,000 and a whole lot of stubborn determination. Here is their story, as told by Lucky.